Following my “New Year Advice” post, Andrew commented. ”The big question is why are so many of us unable to change?” and added a number of well thought out reasons why it is difficult to alter our behaviour. 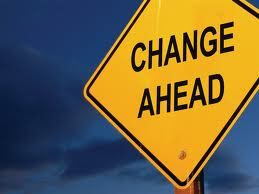 I also think that many of us do not like change because it takes us out of our comfort zone. Andrew’s contribution re-opened what for me is an interesting area of discussion as I am currently trying to change my own kendo. Last year Sumi sensei suggested that I should try to move less after hitting. This advice is not relevant to everyone, but increasingly appropriate to someone of my advanced years. To hit effectively without going through, requires full spirit and control, so I need to work hard to get it right. Like most people I am better at giving advice than taking it, and although I am keen to change, force of habit frequently overrides my good intentions. As I see an opportunity to strike men, I push off from the left foot, hit, and keep going until I reach the wall-bars. To be honest, I enjoy steaming across the dojo as if I was still 18, but I am invariably rewarded the following day with aching knees. So as it is the time of year when we focus on doing all the things that we did not get around to last year, hitting correctly and then stopping on the spot is my New Year objective. For all of us though, kendo is about constant change, so the point I am slowly getting round to; is how can we effect change in our practice? We have looked at this many times before, and the obvious answer is to stick with kihon drills so that we are not distracted by our competitive instincts. There are times however when we need to make changes through our jigeiko. When you consider that keiko should be approached with an ”unfettered mind”, this is not easy. The phrase “The paralysis of analysis” comes to mind from some long forgotten piece of management training. If you apply it to kendo there is a real danger that if you think too hard about what you are doing, you become unable to move. Instead I like the approach that I may have inadvertently borrowed from Timothy Gallwey’s “The Inner Game of Tennis”; of planning what you are going to do before the session, practicing without fixing your mind on a single issue and then reviewing how you did after training. The key is not to beat yourself up for making errors, but rather reflecting on what you did right. I am in the process of trying this out and will be interesting to see whether I make any progress, or if my good intentions go the way of the January detox and diet. With my recent exposure to both Sumi sensei’s renzoku waza drills and Inoue sensei’s take on kirikaeshi, I am starting to think more and more about the importance of being instantly ready to attack at any stage in our keiko. There is a tendency, particularly amongst senior, older kendoka to walk away and start again after exchanging a single attack. Although this allows you to conserve energy, it is long way from the ideal of being “constantly in full spirit”. Keiko should be short, sharp and intense. Far better to do 30 minutes of full-on keiko than two hours of leisurely posing. The key technical requirements are that your back foot needs to be in the right place for you to attack throughout the practice and you need to keep within attacking distance. When you attempt to strike men going forward and your movement takes you past your opponent, you should turn quickly, bringing your left foot into position with hikitsuke and attack again. If you make a failed attempt on kote, push off immediately while you are in front of your opponent and go for men. With hiki-waza, there is even more of a tendency to reverse into the distance. You should work on learning to keep you balance between your feet so that if you take one step back you can instantly take one step forward, by pushing off from your back foot. That’s not to say that you should always do it, but if you see an opportunity, you should be able to take advantage of it even though it might mean a lightning fast change of direction. To do this your left heel should at all times be slightly raised so that the sole of your foot forms a 15 degree angle with the floor. If it’s much higher that, you will lose traction as your left leg will slip out behind you when you try to move. If your heel is on the floor, you will stay firmly rooted to the spot. Here’s the bad news. The best way to educate your left foot is through lots of kihon. 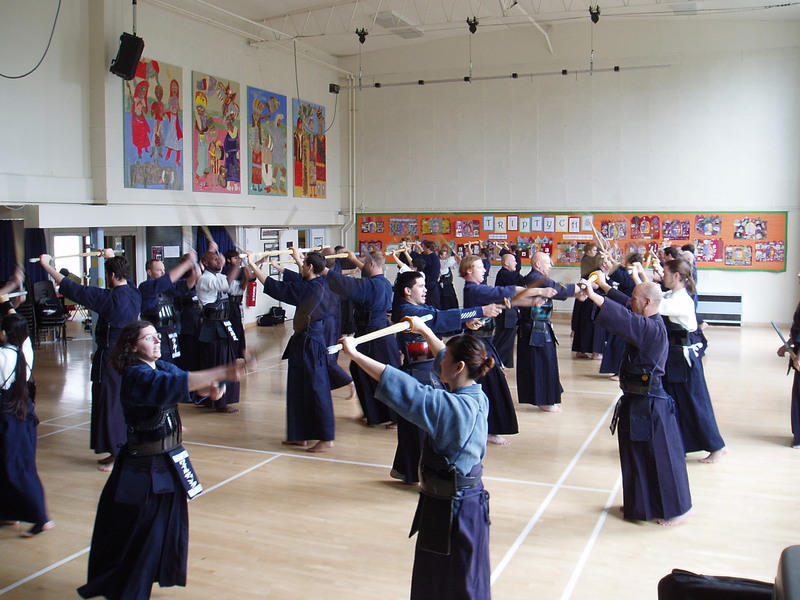 Footwork drills, suburi, kiriaeshi, uchikomi geiko, kakarigeiko; they all play their part. 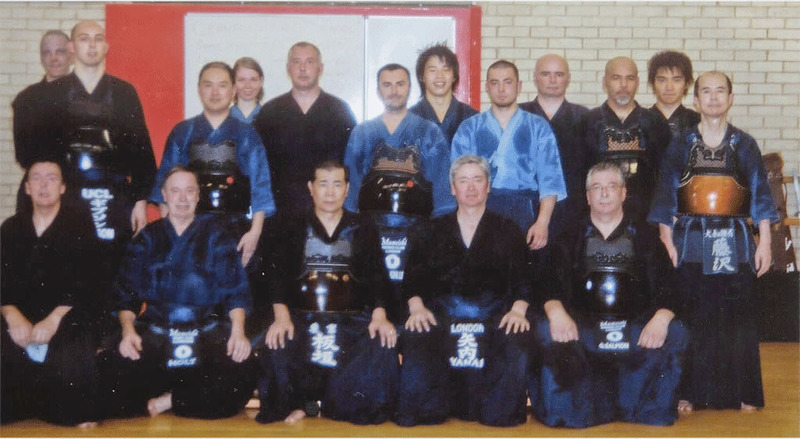 Your objective when you do get into the short intense jigeiko sessions that we are talking about, is to become an effective kendo machine that can see it and hit it, all in a fraction of a second. Regular readers of this blog will be aware that I am a keen advocate of the value of kihon training. I also believe it is unreasonable for any instructor to prescribe activities that he or she is not prepared or able to do personally. Now in my 60’s I am hugely impressed by some of the Japanese sensei of my generation who refuse to act their age. Yamanaka sensei and Uegaki Isao sensei immediately come to mind as role models. I have had the pleasure of training with Uegaki sensei several times in his dojo in Yoshino. He invariably includes kakarigeiko in training sessions for kenshi of all ages and grades, including himself. I recently resolved to add more kakarigeiko to my own training schedule and if I am going to suffer, so should everyone else. At last Thursday’s practise in my local dojo, we concluded with 5 or 6 repetitions of kakarigeiko and I felt not only more virtuous but physically better for it. I had the best of intentions to include kakarigeiko in yesterday’s morning practice at Mumeishi. Unfortunately I woke up with a case of “man-flu” and feeling unable to live up to my own expectations, I kept to the usual kirikaeshi and waza geiko routine before taking my place for motodachigeiko. I am determined however to get back on track as soon as I have stopped coughing and snivelling. Following Uegaki sensei’s advice and example, I realise that us senior citizens can get as much benefit from kakarigeiko as do our younger, fitter colleagues. The elements that do not change are total commitment and big correct technique. Additionally we oldsters need to pay even more attention to producing strong kiai and seme, correct posture and good zanshin. So albeit slower than it used to be, kakarigeiko can still be a vital component of our training plan. Whereas in hikitate geiko with less experienced players there is a tendency to rely on ojiwaza, kakarigeiko ensures that you make strong effective shikake waza against every partner. 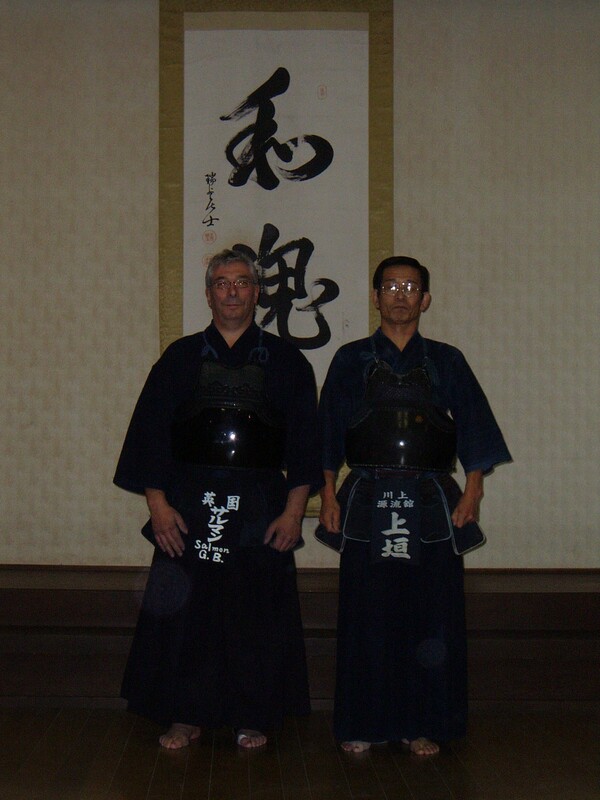 As such, it ensures that you constantly use your whole repertoire of kendo techniques and do not forget the value of making good seme men. The other benefits of this kind of training are increased appetite for a post-keiko beer and the ability to sleep like a baby. So like any good male cold sufferer, I stopped off at Superdrug on my way home from keiko and collected a carrier bag full of vitamin C tablets, paracetamol, linctus and lozenges. I now plan to retire to bed with these and my Kindle. I will of course be keeping in touch with my wife by phone, sending frequent requests for soup and hot lemon and honey drinks. I should hopefully emerge by Tuesday, like an energised butterfly from a chrysalis ready for more kakarigeiko.